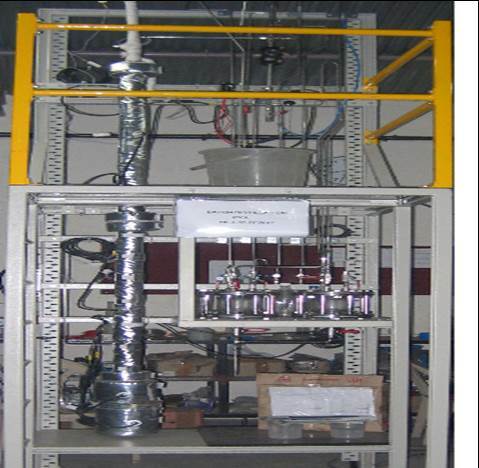 In October 2007, Texol completed the project for the Batch Distillation Assembly, IPCL Vadodara. Unit consists of 1lit batch distillation assembly. Designed to operate at 2 bar g at 500 Deg C & vacuum at 300 Deg. C.
Important process parameters like gas flow; liquid flow & reactor temperature are controlled using PC-PLC based control system.